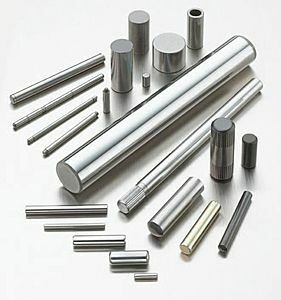 Stainless steel shafts precision ground to high accuracy in 303, 316, 17-4 Ph Hardened stainless steel and 12L14 steel are available from stock. Precision shafts from 1/32 to ½ diameters, and 1mm to 12mm are stocked. Precision shaft diameter tolerances +.0000, -.0002. Click the button below to add the Stainless Steel Shafts to your wish list.